For feature-rich functionality on the go, look no further than the TouchPad8! This 8” tablet is designed to keep your business moving as fast as you do. 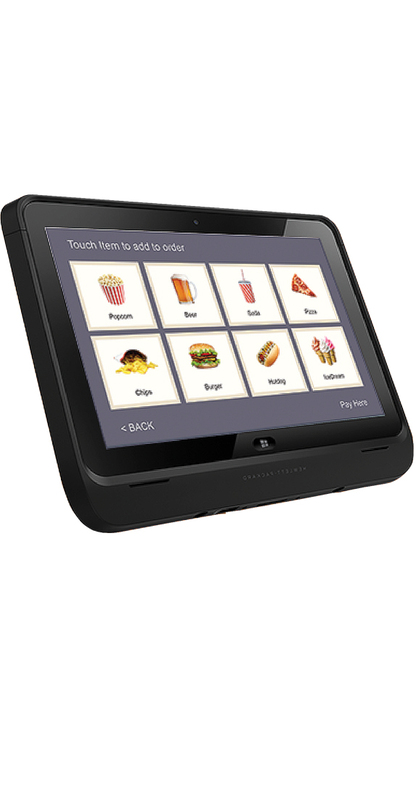 With a variety of peripherals accessories available, this commercial tablet is able to print receipts, accommodates multiple forms of EMV technology and traditional swipe/insert credit card payments. It even reads printed and digital 1D/2D bar codes. Perform mobile transactions from anywhere on the premises. Implement Box Office line busting spontaneously as needed. Accommodates traditional and EMV credit processing options. To keep your business secure, we also offer TouchPad8 customers access to our state-of-the-art software, Business Manager TM, that helps prevent misuse, unauthorised downloads and web surfing. Special operational controls prevent access to operating system and tampering during the boot process. For even more security we offer an optional Remote Management Application that provides cloud- or server-based monitoring and maintenance.